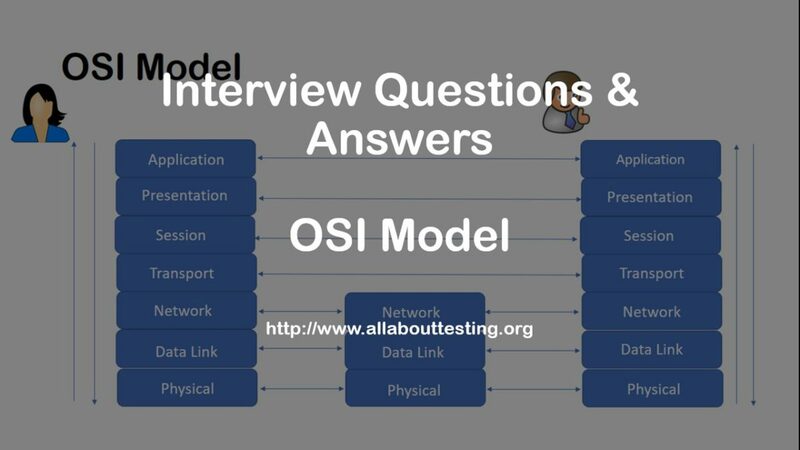 Hello friends, today we will discuss Top 10 interview questions on the OSI model. Ans: OSI stands Open System Interconnection. There are 7 layers in the OSI model. OSI model helps networking professional in understanding information flow from one source to destination. Although, OSI model not performing any function in the networking process. Q2. Are there any alternative models to the OSI model? If yes, define it. Q3. What is the difference between TCP and UDP? Function Message transfer from source to destination in an ordered and error-checked stream. Message transfer from one point to another without checking any order and any error in the stream. Reliability Guarantee Data transfer and arrives in the same order in which it was sent. No guarantee that the messages or all packets sent would reach from source to destination. Q4. What is the importance of the Physical Layer in the OSI model? Ans: Physical layer resembles actual transfer of information from source to destination in form of bit stream – electrical impulse, light or radio signal. In simple words, it accepts a frame from the data link layer and converts it into bits. Also accepts bits from physical medium and convert it into the frame. Common protocols for this layer are EIA/TIA-232, EIA/TIA-449, X.21, HSSI, V.24, V.35, and SONET. Q5. Which layers perform error detection and flow control? Ans: On receiving and while transmission of information, Layer 2 – Data Link layer decoded and encoded data into bits. The data link layer is further divided into two sublayers: The Media Access Control (MAC) layer and the Logical Link Control (LLC) layer. This layer also performs error checking and flow control. Q6. How the network administrator detect the problem? Ans: Network Administrator use the OSI model to understand the information flow and try to find problems by further understand the protocols of each layer. Experience in networking reduces the time to find problems and resolve them. Network problems may be a loose physical connection, configuration issues etc. Q7. What is the difference between flow control and error control? Ans: As the name suggests, flow control controls the rate of information transmitted to ensure the efficient delivery of data to the receiver. While error control checks and correct errors in the data bits and packets. Q8. What is Data encapsulation? Ans: Data encapsulation is a process of adding extra information at each layer of the OSI model while information flow from one host to another host. Information such as source and destination address, protocol information, type of data etc. Q9. 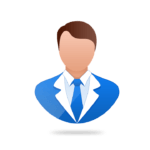 What are the differences between MAC sublayer and LLC sublayer? Ans: MAC sublayer stands for Media Access Control layer. MAC address works on Layer 2- Data Link Layer. This layer controls the permission of data to transmit it. LLC sublayer stands for Logical Link Control layer. This layer controls frame synchronization, flow control, and error checking. Q10. What is the difference between half-duplex and full-duplex? Ans: In half-duplex, information can flow in both direction but not simultaneously. While in full-duplex, information can flow in both directions simultaneously.